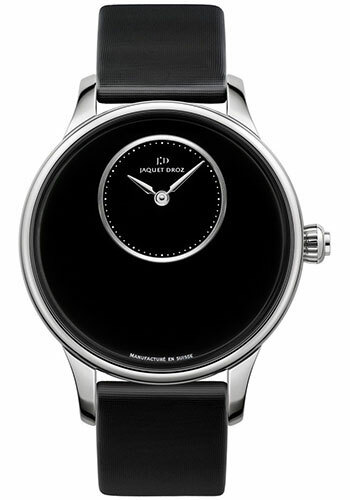 39mm stainless steel case, 11.52mm thick, transparent back, stainless steel bezel, scratch resistant sapphire crystal, black dial, caliber 2653 automatic movement, approximately 68 hours of power reserve, satin black strap, tang buckle. Water resistant to 30 m (99ft). 39mm stainless steel case, 11.52mm thick, transparent back, stainless steel bezel, scratch resistant sapphire crystal, white dial, caliber 2653 automatic movement, approximately 68 hours of power reserve, satin white strap, tang buckle. Water resistant to 30 m (99ft).